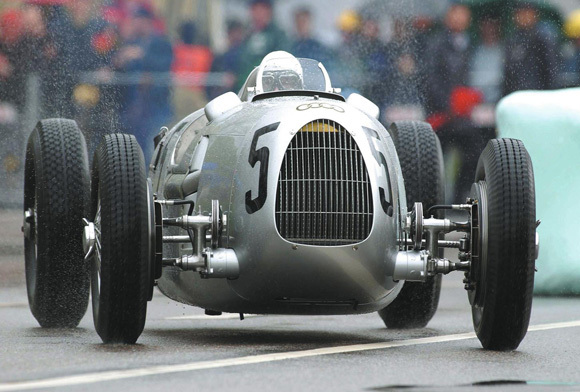 A little over 80 years after it first competed at the world-famous Shelsley Walsh Hill Climb, the Auto Union Type C Grand Prix car will make a spectacular comeback this summer in the hands of Audi legend Hans-Joachim Stuck. On Saturday July 16 and Sunday July 17, the 1990 DTM champion will pay tribute to his father by repeating Hans Stuck’s heroic 1936 hill climb attempt at the world’s oldest motorsport venue in continuous use. Exactly like his father he will be sitting just in front of a Type C’s massive supercharged 16-cylinder engine and contending with 520PS as it bombards the rear axle uninhibited by any form of traction control. Setting an overall best on the day of 45.2 seconds, Hans Stuck senior claimed victory in the 'Over 5 litres Supercharged class', however his performance was hampered by wet weather that significantly slowed his attempts to improve on this. In the summer of 1932 the brands Audi, Horch, DKW and Wanderer merged to form Auto Union AG, which consequently became the second-largest motor vehicle manufacturer in Germany. The four interlocking rings chosen as its emblem symbolised the unity of the four member-companies. All four brand names were retained, each being allocated a specific market segment within the new company: DKW (motorcycles and small cars), Wanderer (medium-size cars), Audi (cars in the upper midsize market segment), and Horch (top-class luxury cars). 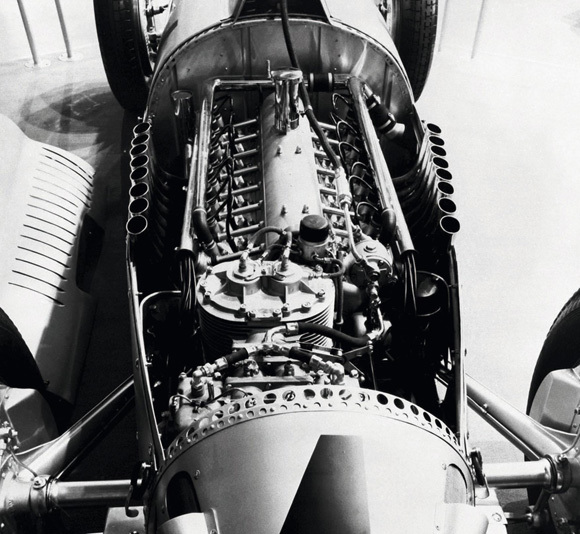 In 1934 Auto Union began competing in Grand Prix racing, and along with its most challenging opponent Mercedes-Benz went on to dominate the series with cars that were soon to become known as “Silver Arrows”. It seems almost incredible today, but by 1936 the Auto Union racing cars were reaching speeds of over 235mph on the long straights of the Avus circuit in Berlin. 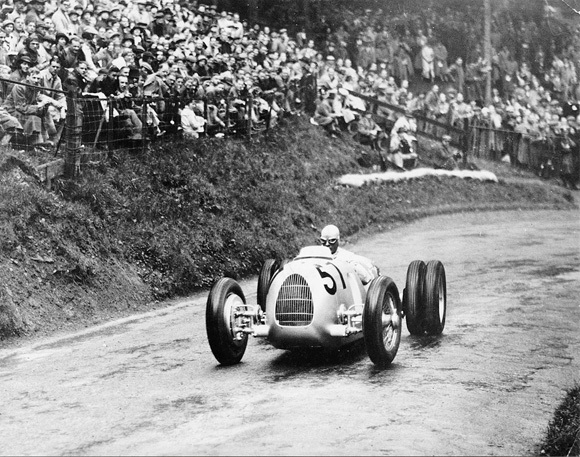 By the end of 1937, Auto Union had competed in 54 races and won 32 of them – setting 15 world records in the process. The Type C was the most successful German racing car of the era, having won three out of five Grand Prix by 1936 and half of all circuit and hill climb races that Auto Union entered. It was the third iteration of the brand’s Silver Arrow Grand Prix car, and by this stage its V16 engine had a displacement of six litres and combined a colossal 520PS output with maximum torque of 87 mkg (approximately 850 Nm) at 2500 rpm. During the 1934 – 1937 period, the basic design concept remained unchanged. 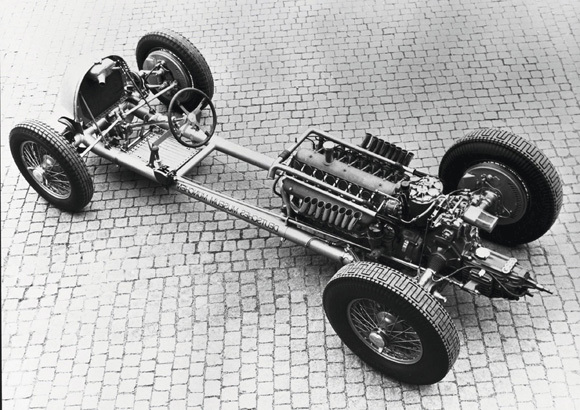 The 16-cylinder engine was located in the centre of the chassis, behind the driver’s seat, and thus anticipated by several decades the layout used almost exclusively by modern racing cars. Beneficial to both weight distribution and traction, this configuration also continues to be used to this day by high-performance road-going super cars such as the Audi R8. During his illustrious racing career, Hans Stuck helped to encapsulate the wonderment of the Silver Arrows. 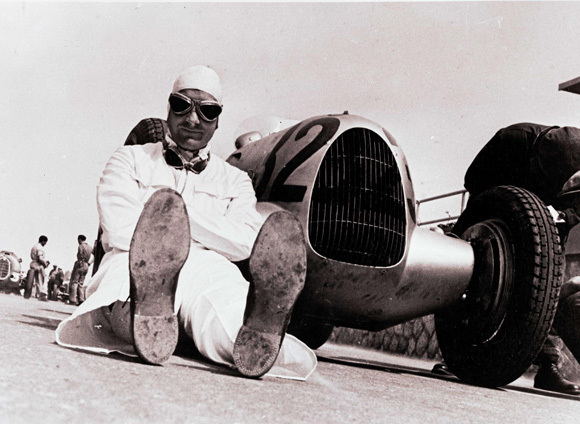 In 1934 he scored the first race victories for the newly established Auto Union racing department. Stuck senior set several world speed records right from the start on the Avus racetrack in Berlin, at the wheel of the 16-cylinder racing car originally designed by Ferdinand Porsche. More victories in the car’s first season ushered in the legendary “supercharger era” that was only brought to an abrupt end by the outbreak of the Second World War in 1939. Stuck senior was “unofficial” European champion in 1934, though this title was first awarded officially only a year later. 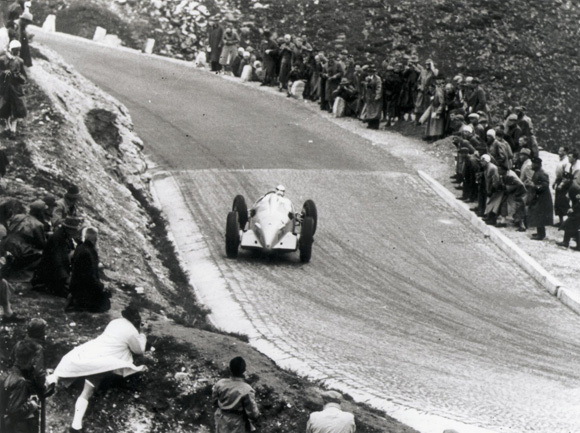 He was the only Auto Union driver who drove these cars without a break every year until 1939. Upholding the family tradition of exemplary motorsport success, Hans-Joachim Stuck has an equally impressive score sheet and is considered a hero in the Audi motorsport hall of fame. In 1989, Stuck junior won seven of 13 races in the IMSA GTO series, taking third place in the championship overall. A year later, Audi entered the German Touring Car Championship with the 462 PS V8 quattro, in which Stuck secured the driver’s title. Stuck, nicknamed 'Strietzel', also claimed victories for Porsche at the Le Mans 24 Hours in 1986 and 1987, as well as clinching a class win there in 1996. The event is part of the Classic Nostalgia days at Shelsley Walsh, which run from 9.30 am until 5.30pm.